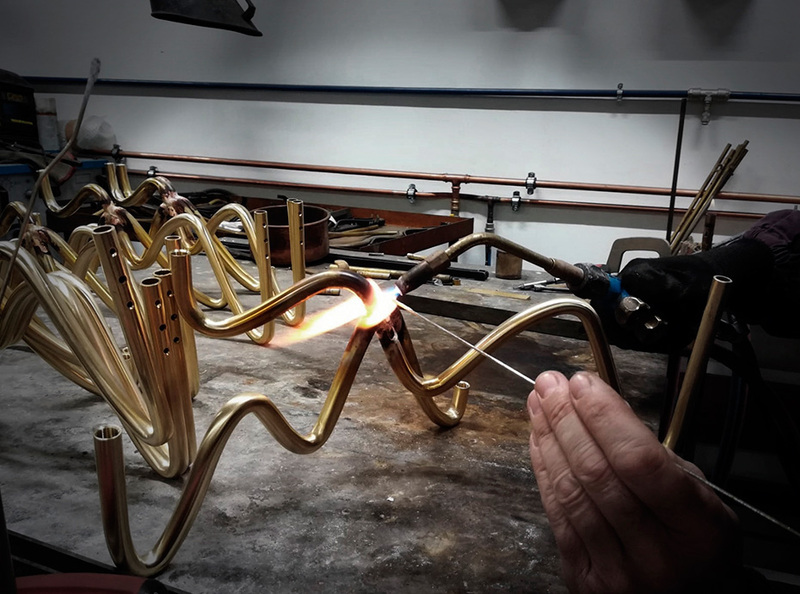 When the craftsmanship knowledge takes shape, our talented artisans bend by hand each brass arm and carefully weld them all together to create the shape of the chandelier. In the meantime crystal starts its process: blown into the mold, it takes the shape of a thin, elegant candle, and then carefully ground by hand. Where the high-tech meets the tradition: our team diligently creates the electric circuit that runs inside the arms to meet the LEDs that spread the most sophisticated light from the base of the crystal.